By default, remote access to the MySQL database server is disabled for security reasons. However, sometimes you need to provide remote access to database server from home or a web server. This post will explain how to setup a user account and access a MySQL server remotely on a Linux or Unix-like systems. You need type the following commands which will allow remote connections to a mysql server. If you are using Debian/Ubuntu Linux file is located at /etc/mysql/my.cnf location. 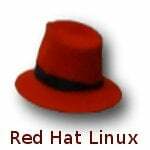 If you are using Red Hat Linux/Fedora/Centos Linux file is located at /etc/my.cnf location. If you are using FreeBSD you need to create a file /var/db/mysql/my.cnf location. bind-address: IP address to bind to. skip-networking : Do not listen for TCP/IP connections at all. All interaction with mysqld must be made via Unix sockets. This option is highly recommended for systems where only local requests are allowed. Since you need to allow remote connection this line should be removed from my.cnf or put it in comment state. Connection to 65.55.55.2 3306 port [tcp/mysql] succeeded! Could you tell us how to setup proper MySQL client program on remote machine first? As far as I now, even if we ONLY install MySQL client program on remote machine, it will generate a my.cnf file. Whenever you issue mysql command on remote machine, this file will be consulted and thus, the client will attempt to connect to a non-exist local MySQL sever rather than your remote server. Absolutely right! because I’d tried it how many times. And and I found it was right. There is no need to setup in my.cnf, without configuration it works fine for remote address. Sachid: can you please tell me how can i configure without updating my.cnf file ? You are absolutely right. i wasn’t comfortable updating the my.cnf, grant user, iptables, telnet. Good thing I just tried your one command and it works. This didn’t work at all. BTW, who is “vivek”? Is that your client machine? Anyhow, the host server keeps telling me that my client computer is not allowed to connect. There must be more to it that I am missing. vivek is username and 192.168.1.101 is server IP. You need to setup correct permission using GRANT command (see above for an example). Roshan, learn some English please.. It sounds like you’re not saving your file but instead backgrounding it. To save, :wq will save and quit in vi/vim. do i have a problem with my ipaddr? You will need to provide the port number to telnet to, as well. Telnet defaults to port 21, and that’s not the port MySQL uses. Also, ipaddr will need to be the IP address of the MySQL machine. Yup, you need to open port 3306 for communication. I was able to access mysql after changing these tables but when I restarted the computer the files were changed back. There must be another way to do this without manually changing them. Yeah exact same thing happened to me. I try running the same command to give me back rights and it wont work. Bless your soul for writing this. I was endlessly modifying permissions in mysql until I read your post and realized I had to change the bind-address. This is an awesome article. The only thing I wish it covered is how to name your server (so when you connect you could do it through `myserver.mydomain.com` and whether you can specify a range of allowed remote IPs. But still, this is a very good write up and one that I learned a lot from. Look, what if a want that all my lan have acces to the db? â€œ You can specify wildcards in the host name. For example, user_name@’%.example.com’ applies to user_name for any host in the example.com domain, and user_name@’192.168.1.%’ applies to user_name for any host in the 192.168.1 class C subnet. The simple form user_name is a synonym for user_name@’%’. Hey i am having a problem with Bad Handshake!! Can any body help me please!! Nice addition. Simply great,expect same again.it will help me a lot. How can i access mysql database running on windows pc from linux server, on both machine i am using mysql 5 and perl 5.8.8 , ip of windows machine ie. 192.168.0.50 and linux server has 192.168.0.10 on single LAN. i want to find the ip address of the my sqlserver in fedoro 5 how to find it can u guide me . I have 2 mysql servers #1 and #2 in a LAN. I want to remotely access either 1 of the 2 servers from box #3. How do I specify that server #2 is to respond and not server #1 to my request. thanks a lot. Is there a way to make a mysql server accessible both locally AND remotely? When I change bind-address to some ip address the ubuntu LAMP server will fail to start mysqld. When I change the bind-address to 127.0.0.1, I can’t access it remotely. Nice tutorial up there ! Hi there,thankyou for this article.. Does this mean that conection was done, but something kicked me out ? I think yes, and I will be very glad to know if you have a clue of what it is causing this. The MySQL manual has some information on this which you might find useful. It goes about it a slightly different way which some people might find easier. what if I could not find the file my.cnf on my server?…..I am actually using a web hosting server. I have problem to connect to remote server thought telnet I made and configure a user in Linux and in mysql also. For database use and when the user wants to exit the session must close. Would you please help. Every time I try and restart Mysql I ge this error. Everything to be working write I can get into mysql but can’t log on to it remotely. Please help. 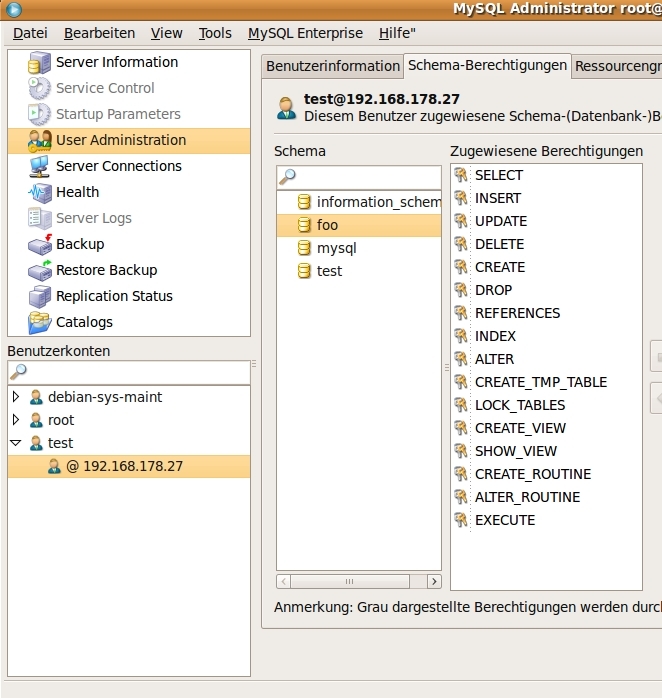 to access to remote computer you need to select (Enable root access from remote machines) during the instsllation of Mysql server. after that you must change the localhost to the IP adress for the remote computer and you will get the conection. great article. I could setup the remote mysql admin by editing the my.cnf fie. Thanks to commenters’ tips to open port 3306 – fixed my problem. Solved my problem at all! This is a very informative article. It helped me a lot. I can not find the my.cnf anywhere in the system. I have installed RHEL5.1. I ran this command: find / -iname my.cnf, but returns nothing. Am I missing something? Do I need to actually create a file called my.cnf under etc? Do you have mysql installed? Yes. I have MySQL 5 installed. I am able to log into the test and mysql databases when I am on the machine (not remotely). Below is what yum command returned. Thanks for your help. 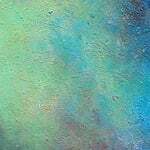 mod_auth_mysql.i386 : Basic authentication for the Apache web server using a MySQL database. qt-MySQL.i386 : MySQL drivers for Qt's SQL classes. mysql.i386 : MySQL client programs and shared libraries. mysql-bench.i386 : MySQL benchmark scripts and data. mysql-devel.i386 : Files for development of MySQL applications. mysql-server.i386 : The MySQL server and related files. mysql-test.i386 : The test suite distributed with MySQL. php-mysql.i386 : A module for PHP applications that use MySQL databases. May be file is deleted or replaced. Just do forceful installation again. And how to grant access to ANY ip address? i hav designed a website using JSP and mysql, there is an enquiry form in that website ,when one fills the form the details automaticaly go into databse as the logic goes..but my problem is on localhost(tomcat) when i fill the form and submit, a retrieved form is displayed which shows my entry..but when i hosted the website the data is not being retrieved …which means it is not geting connected to the server database which i created on putty.. can anyone please help me on this.i am new to jsp ..i just cannot get the logic.i mean on local host alls well but nt on the server..can anyone help step by step on this..please. u can try and fill the form ..
it will give you a blank retrieved form..
Hi, this is a pretty good article even though I had to make a few adjustments to setup the MySQL server on my Mac but the instructions are nonetheless still good. nice tutorial……. keep it up….. thanks for ur help…. Thank you, thank you, thank you. I’m running Ubuntu 8.04 and this was perfect. hello, how could i allow access only to one remote ip? i noticed that i can login to all my mysql accounts remote.. But I canÃ¢ï¿½ï¿½t access MySQL-Server remotely. The user Ã¢ï¿½ï¿½testÃ¢ï¿½ï¿½ has grants and can be accessed remotely. But I can access MySQL Ã¢ï¿½ï¿½ Server from the second host, because the access is not allowed from the host. Can you tell me please what IÃ¢ï¿½ï¿½m doing wrong? But I can’t access MySQL-Server remotely. The user ‘test’ has grants and can be accessed remotely. But I can access MySQL-Server from the second host, because the access is not allowed from the host. Can you tell me please what I’m doing wrong? changed to allow remote connections and local connection as well. MuchÃ­simas gracias por tu ayuda, alfÃ­n he podido configurar mi entorno de desarrollo. Thanks a lot for your help, finally I could configure my development environment. Thank you. This saved me a lot of time and aggravation. I have made the bind-address entry in my.cnf and granted access to host and db in mysql db as per the instructions above. Following step 5 did not work for me because my db was created in MySQL Workbench as a blank db. Does this instance need the tables from the ‘mysql’ instance copied over before I can perform this step. There is no table named db in my newly created instance; hypothetically “foo”. Ditto what villalvilla said– gotta flush privileges! I have to do a program in C# that access a mysql database but i have no idea how to can you tell me a website that can help with this???? 100327 13:12:58 [ERROR] Do you already have another mysqld server running on port: 3306 ? Thanks a ton. Just in case anyone needs help, granting my permissions worked fine on my existing database. (the instruction for making a new database) I skipped the next two instructions. Also, service iptables didn’t work for me, but my distro had some instructions for saving the new iptables rule to a new file in the /etc directory and putting a line in the /etc networking configuration to load that file at every boot; so search your distro for saving iptables if service iptables doesn’t work for you either. hello i am new to using mysql can you tell me the command to allow remote access to a server on the mysql command line. im agree with you thanks for u gays ,but the big problem is not the binding-ip ,the problem is how to access to this file if you are a client . the hosting company only can access to this file. Typically hosting companies will use some type of web client that will allow you to make these changes to a mysql database located on their system. I am not familiar with all of the systems out there, but in cpanel there should be a section of icons listed under the heading databases. Select “Remote MySQL” and enter the ip address or host name of the system you are allowing access. You will also need to do this if you are designing a website that will be database driven so that you can make connections to the database through a web page. Great manual, thanks a lot! Thanks for the article – sorted my problem easily! what is the Grant command to give access to a ‘user’ on ‘db1’ and ‘db2’ ,all tables? Create user n then grant priviledges. I wanted ‘user’ to have access only on db1 and db2 databases only (all tables) out of several other databases, not to a particular db1 ..as in ur example. yes. This query will provide access to db1. Write a similar query for db2 as well. It will help. U can write similar query for db2 also. It will provide user to access only db1 and db2 databases. yes ,thnkx a lot .It worked for me . One thing i would like to share is that seperate create statement for user creation is not required in case of grant statement.grant command create user as well. Anyways thnkx ..thnkx a lot.. The user@host.domain.com can login successfully with: $mysql -h mysql-server-ip -u mysqluser -p only the client port forwarding need something. Can anyone help with this ? Thanks in advance. hi i m confused with your query for the solution you have provided for the existing database grant to the existing user that he can logged with his original password or should we have to update the password. Thanks, by doing an update solved my problem Much appreciated. How can I grant access to my local database to a remote connection via Workbench 5.2? When you run step 5 on Ubuntu 10.04? I wonder what’s the difference of just connecting via SSH, use a command line and access the mysql prompt from there. Any benefits of this tutorial’s approach than what I do with mine? Thanks, this has helped me figure out how to deal with remote connections. “ERROR 1046 (3D000): No database selected”. Yes ! without configuring /etc/my.cnf aslo it can work . It’ll help to update remote host mysql db . I followed every single step and it worked! to connect into that mysql server? Don’t say to me repeat that command over 10 times. That’s not the answer, tough. Hi there, I have a query that needs your support. This is the ERROR I get while creating a NEW SERVER INSTANCE: in Windows. In order to manage a MYSQL server it must be installed as a service. the server instance cannot be created. Administrator to configure new Server Instance. the errors the program is giving me in the Windows environment. /sbin/iptables -A INPUT -i eth0 -p tcp –destination-port 3306 -j ACCEPT ?? The variable skip-name-resolve will also keep remote access from working. Was pulling my hair out trying to get this to work, comment out that variable and viola. i have configured multiple instance of mysql having new instance port 3307. But am not able to connect to this port from a mysql client. Where should i change the configuration? Thanks for this excellently written article. I was going to write my own, but I think I’ll just link to yours. so please help me.As Soon as possible. Hi, I have edited my.cnf according to your Step-3. But while restarting it says “MySQL Daemon failed to start.”. Just for the note, my server is running on amazon ec2. Any idea what went wrong? Using 3307, incase you have a local MySQL server installed. Thanks a lot. It is really a good idea to use a tunnel in this case. You need to issue a FLUSH PRIVILEGES command on SQL server after you grant access to whatever. otherwise the new permissions are not yet valid. Ok, I think i found mysql-large.cnf (though mine is called my-large.cnf). But i don’t have a etc folder at /usr/local/etc. Even tough I have one at /usr/etc, it haven’t got rc.d in it.. Help please! bind-adress should be set to the IP address from which the database is going be access, not IP address of the server itself. Setting bind-address to IP address of the server will cause mysql deamon fail to start and setting bind-address=0.0.0.0 (accepting all IP addresses) should solve the problem. Based on your example, bind-address could be set to 202.54.10.20 too. This is at least true to MySQL servers on Amazon EC2 (Centos) instances. Please update your tutorial if you agree with my comment. How about if my client IP dinamic? How to set to mysql allow all IP? Thanks you solve my problem. Your blog is very nice. Thanks once again. I am not sure it’s a system depended, or just a small bug. Overall this guide is brilliant. Thanks for writing. Having some issues on an Ubuntu 12.04 EC2 server. When i get to the stage to edit remote access to the DB. There doesn’t seem to be any entries into the db table (i am assuming we are looking at the root mysql database). Though my websites database is set up and working as its now a live system works with MySQL connections locally. I am trying to set up remote access to my development (home) network so i can run updated versions of the website locally without effecting the live version, but still use the live database. It took me half a day to find this hint. Google should do a much better job here – cause anything else was crap! You are awesome, thanks for sharing this. Always nice to see fixes for little things like this from other people in the trenches. After this commands my websites are down and cannot access localhost. â€¦.. * The server quit without updating PID file (/var/lib/mysql/v-testmate4.pid). Suppose I have some couple of my sql users..? ?and many machines run mysql so i want..
tom user and all other mysql user on this Machine 192.168.1.3 to be accessible only from jack@192.168.1.5 not anywhere else. and plz how can this be done? You add usernames and passwords to the Database and provide them access privs. Of course that’s completely outside of the scope of what this article is about. So, Dan How..this is no more hope full.. I had some trouble with this and after some googling and experimentation I think I have found the solution. The problem was mysql didn’t want to start anymore after changing the bind-ip address. Turns out I didn’t need to fill in my external IP, but my internal IP (so not localhost but the ip it has in the network). After that mysql did start again and by opening the correct port it is accessible from the internet. Never mind, looks like it still refuses connections. Alright, figured it out for reals this time. Made the stupid error of making a user for the same database with username@%, but then I didn’t add any privileges to the user so it wasn’t allowed to do anything. However I now have this address for the bind ip: 0.0.0.0 (found it somewhere online and is used as the address for all addresses (ipv4)), which is nice since * didn’t work. Haven’t tested again for the internal ip address if that works too, since it works now and I’m fine with that. After your step #3, mysqld will no longer start for me. my mysql connection doesnot have a password so how will i connect? Thank you, I’ve been facing this remote connection issue for days and nothing I read and tried worked. Your post did. Thank you. I have my own server at home with Ubuntu Server to test my apps made on PHP. And I need to enable remote access to MySQL server but I’m confused with the bind-address, I have to put the Public Ip or the local IP of the pc? When changing this on a production system your local data will not be able to connect if you reference the host as localhost. To fix that, change your database settings for host to your server IP that you specified in my.cnf file. For example, for wordpress, change the DB_HOST in wp-config.php from localhost to you server IP. I see that this is an old post but it has current relevance so please update this for Ubuntu (among the top two most popular Linux distros) for where the file is located and how to restart the server. Also, in MySQL 5.6+, “skip-networking” is no longer the default so you will not find that line to comment out nor remove. It is removed by default but by default, they bind it to the loopback address, 127.0.0.1.
so either comment out the “bind-to” line or change it to the resolved address of your server. If you want it to be available for remote (in-front your firewall) entry, this produces one of two issues; set it to the private IP address and everyone outside is blocked or set it to the public IP address and everyone inside is blocked (and your server is exposed). The solution is to bind it to the private IP address then your remote computer needs to VPN into the network first where it can see the private IP address of the server. Alternately, remove/comment the “bind-to” line from your config file. THIS POST HELPED ME SOOOOOOOOOOO MUCH ! Thank you so much for this. I did the obvious, enabling remote access in the mysql privileges, but was unable to access due to the local host bind. I am wondering if we can set the bind to a specific IP range, like the local network subnet, and if that would effectively limit listening for login attempts to the local network at least. This helped so much though, being able to actually connect. thank you! The internet on the website is not working. How would I go about allowing connection from anywhere? I have a ham radio logging software that I’d like to run portable and connect back to my home server running mysql to save the logs. My IP could be anything. I can change the ports or use NAT to avoid port scanning, but I have no idea how to modify the update commands to allow connections from anywhere. Previous post: Previous post: How do I sync data between two Load balanced Windows 2003 servers?